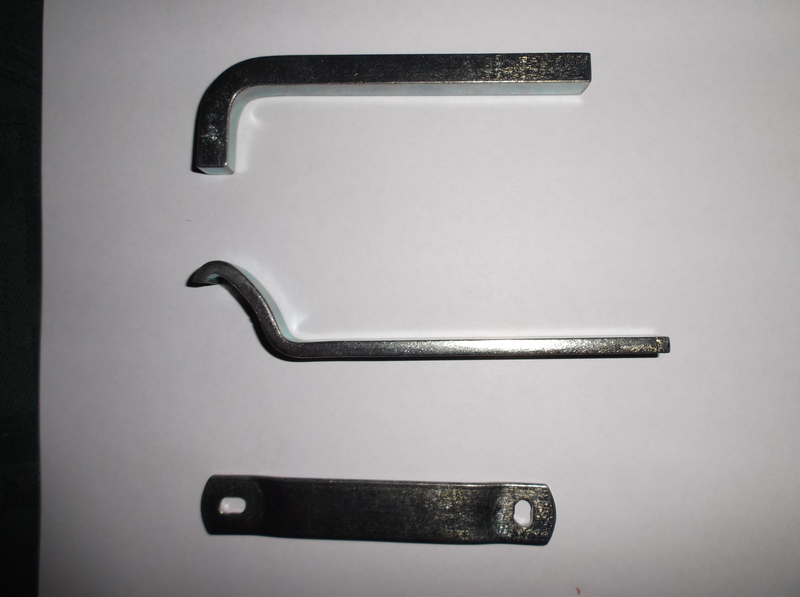 Three tool box items comprising rear axle plug spanner, water pump stuffing box spanner and shock absorber key. Ten of each have been made from zinc plated steel. Prices are £10, £15 and £15 respectively. Contact Mike Dutton via the above email.